Summary: MIT researchers have identified neurons that fire at the start and conclusion of a behavior as it becomes a habit. 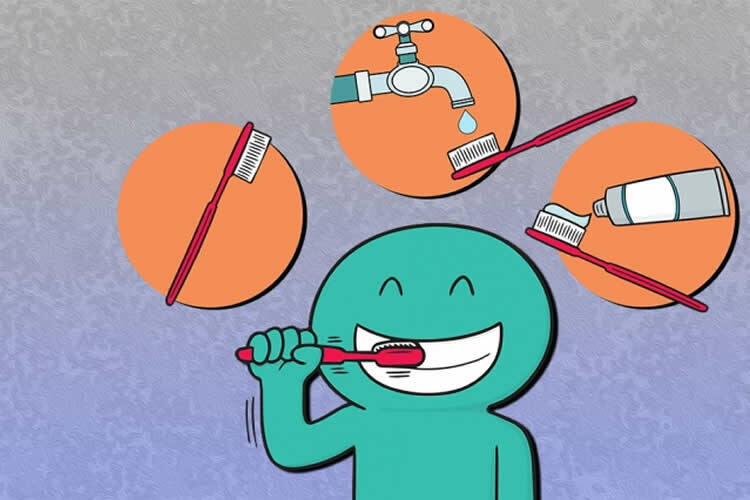 Our daily lives include hundreds of routine habits, made up of many smaller actions, such as picking up our toothbrush, squeezing toothpaste onto it, and then lifting the brush to our mouth. This process of grouping behaviors together into a single routine is known as “chunking.” MIT neuroscientists have now found that certain neurons in the brain are responsible for marking the beginning and end of these chunked units of behavior. NeuroscienceNews.com image is credited to Chelsea Turner/MIT. Funding: The research was funded by the National Institutes of Health/National Institute of Mental Health, the Office of Naval Research, and a McGovern Institute Mark Gorenberg Fellowship. Image Source: NeuroscienceNews.com image is credited to Chelsea Turner/MIT. MIT “Distinctive Brain Patterns Help Habits Form.” NeuroscienceNews. NeuroscienceNews, 8 February 2018. MIT “Distinctive Brain Patterns Help Habits Form.” http://neurosciencenews.com/habit-brain-patterns-8456/ (accessed February 8, 2018).